* Weather and air traffic restrictions may apply. After a short briefing you will be ready to jump from up to 13,000 feet*. Training is run throughout the day and students are strapped to the front of a Tandem Instructor who is there to control the skydive for you. Once you exit at up to 13,000 feet* you accelerate to 120 mph, covering each thousand feet in approximately five seconds. At 5,000 feet the Instructor will deploy the parachute which will then be controlled by both persons until you land softly and gently some four minutes later. 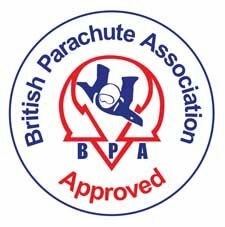 Terms : All students are required to have a provisional membership of the British Parachute Association, which entitles them to a Third Party liability insurance of £2,000,000. This paperwork will be filled in via our online portal or for a slower day on arrival. The cost of the membership/insurance is included in the price. Personal Accident insurance cover can be arranged at the centre on the day if required. 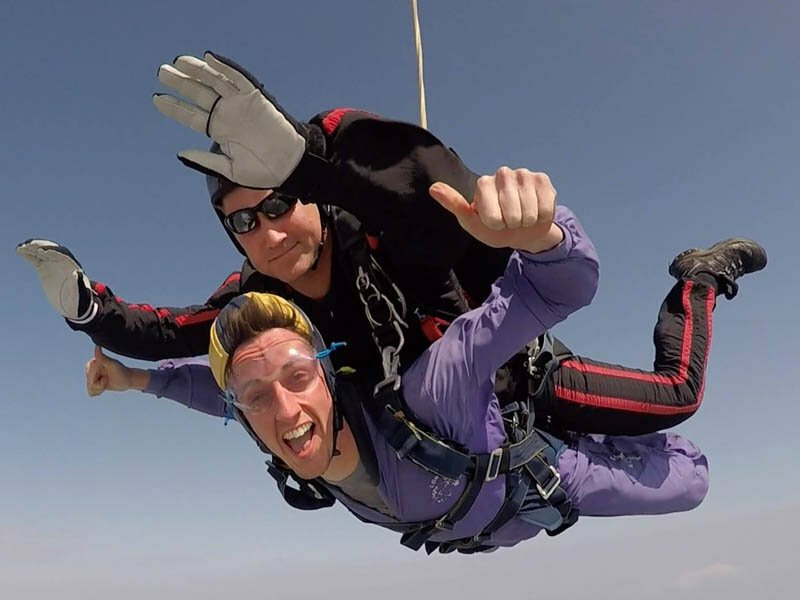 Currently there is no upper age limit for Tandem Skydiving and as long as you are physically fit and healthy you can self declare by completing BPA medical form 115A. If there is a doubt about fitness or where existing medical conditions require the advice of a doctor then BPA medical form 115B must be used. This form, (115B) must be stamped and signed by a doctor and brought to the centre on the day of your jump. A letter of parental consent is required if you are under 18. The minimum age for parachuting is 16 years and there is no maximum age or this course. The maximum weight limit for all courses is 15 stone (95 Kilos). A deposit of £50 per person will be required at the time of booking and the balance is paid on the day of the jump either by cash or card.